One Direction have been given a special secret weapon for their up-coming sell-out Manchester gigs as the clean-living boys shun booze once again – and demanded TEA instead. The low-maintenance lads – who drank peppermint tea at last month's Brits – have told organisers that the only thing they want in their dressing room is a plentiful supply of tea bags. And to stop the thirsty boys running out, one of Britain's last remaining organic tea blenders Higher Living has created a special tea dispensing device to be placed back stage… only in an emergency. "The lads and their management team have specifically asked to keep their dressing room low-key before the shows and requested tea in there rather than booze." 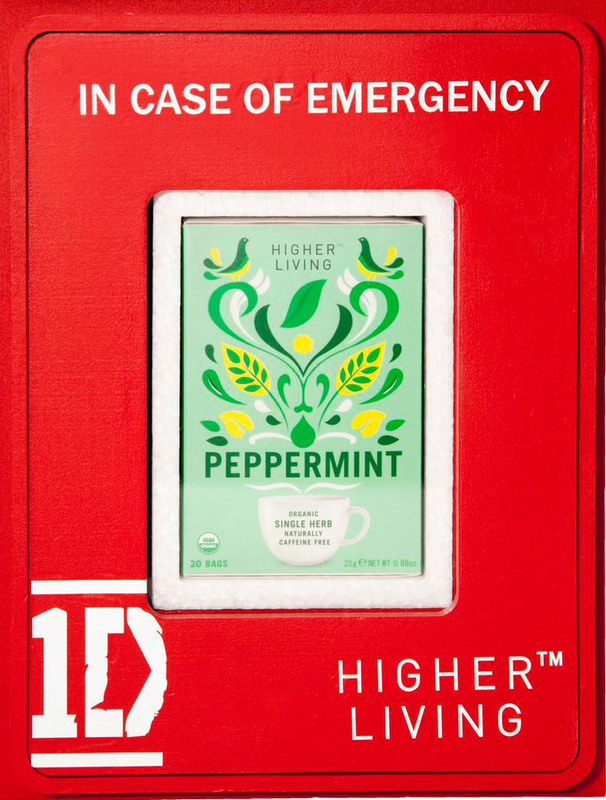 Higher Living has filled the boys' dressing room with a mountain of organic peppermint tea bags for Friday and Saturday's gigs – but if they get through the lot, as a last resort they can smash the emergency glass. Premium organic tea maker Higher Living is described as the Rolls Royce of teas and is one of the last remaining tea blenders in Britain. One Direction aren’t the only singers who enjoy a good brew with other global superstars such as Noel Gallagher, Madonna and even Tinie Tempah admitting their love for Britain’s national drink.